Karen, a new reader of this blog, has taken on an amazing project and told me that I can share the fruits of her labor with all of you. Karen learned to play when she moved to Florida 6 years ago and now plays in a weekly game in her development – she sends many thanks to the neighbors who agreed to teach rookies so they could have a regular game! She also is part of a small group that plays using vintage sets and the old NMJL cards. Her husband is part of that group as well, and helped Santa bring her one of her favorite sets! Karen has analyzed every card published by the NMJL from every year starting with 1937 (except for 1939 – does anyone have this card for her?). The document she sent to me was on a spread sheet but I have not been able to figure out a way to get it on this blog with all of the pretty colors and special placements that is in the original document. Suffice it to say that what follows – although not as pretty as what she originally sent to me – is an amazing gift that Karen has given to all of us. I can’t wait to read your comments! 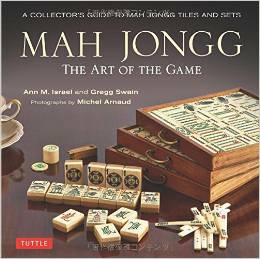 NOTE: 1937 was the first year for the National Mah Jongg League. 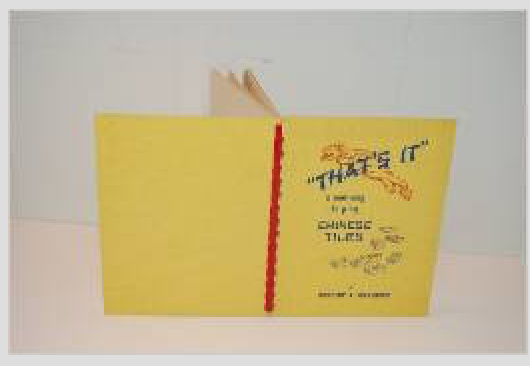 The rules noted below for 1937 are a short recap of those found in the 1937 edition of “That’s It” by Dorothy Meyerson, Vice-President of the new National Mah Jongg League. The rules for the years following 1937 indicate changes in bold type. These represent changes from the previous year’s card, and are not meant to be a comparison to modern rules. They are also meant to be brief enough to make it fairly simple to start to play and are not meant to be a complete list of all rules. Refer to actual cards or rule books for specific rules regarding dealing, betting, miscalled tiles, and/or Mah Jongg called in error. 1970-71 6 8 Rules:· Each player picks 4 tiles for 3 rounds, East then picks first and third top tiles, others take 1 each· East no longer receives or pays double. · When a player picks her own MJ tile, all players pay double· When a player uses a discarded tile for MJ, the discarder (only) pays double. 1971-72 8 8 Rules:· Each player picks 4 tiles for 3 rounds, East then picks first and third top tiles, others take 1 each· East no longer receives or pays double.· When a player picks her own MJ tile, all players pay double· When a player uses a discarded tile for MJ, the discarder (only) pays double. This entry was posted in Mah Jongg and Me and tagged 1937, 1939, Dorothy Meyerson, mah jongg, National Mah Jongg League, nmjl, That's It on June 30, 2015 by Mah Jongg and Me. Unfortunately only a partial amount of the text shows on screen. Is it possible to email the spreadsheet as an attachment and not part of the Blog? this is an incredible piece of work.. I just read the entire text . Many of my students have asked questions about “when did this happen” and why can’t we do that..? now I have answers for all.. Thank you, Thank you, Thank you!! Excellent stuff! Although I don’t play NMJL I had always wondered about the large number of extra tiles & jokers in some sets – this explains why! Please thank Karen for all her hard work. What a labor of love this was! Thanks so much. Now, Oh, for the 1950’s, with 20+ flowers, and they were all wild. I always wondered why so many flowers, and how did they make hands without jokers. Now I know; flowers were jokers. Who knew? That is wonderful, could you post a link or share in a google docs format if the writer doesn’t not mind. Giving a birthday party to a mah jongg friend is double the fun if we obtain a card from the year she was born and follow those rules. Several Medicare birthdays have been celebrated with cards from the 40’s and 50’s. It is great fun and makes for a memorable day. Thanks so much for sharing these cards with us. I have paid up to $40 for just the one card of a by gone year. I am not clear about the -6 used under Flowers on the first few years; silent card means that nothing is mentioned about it I assume so just use the 6 with the set, perhaps? 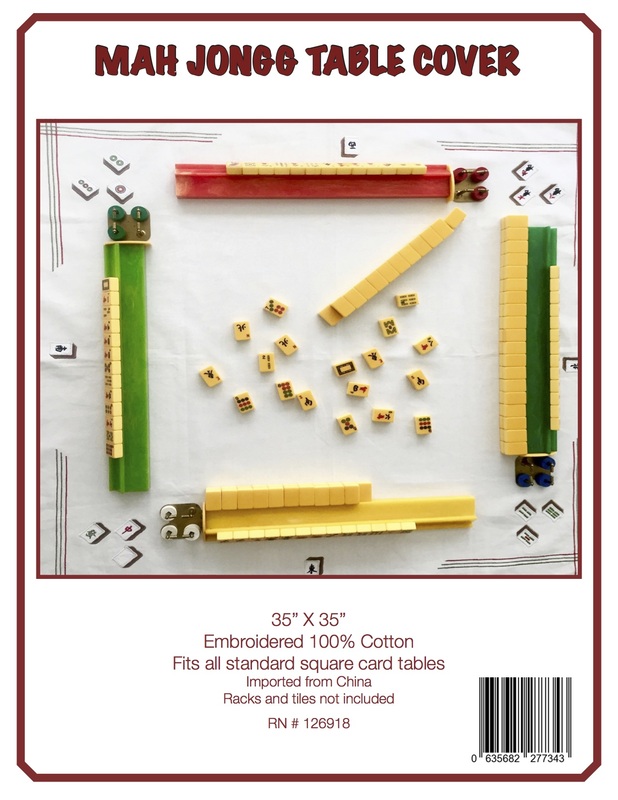 Wonderful gift to the mah jongg world. Bless you. Thank you for this wonderful gift. Karen, this is an amazing piece of work you have done. Is there a way to share a link to a spreadsheet that has this information? I’d love to print it for my mah jongg group members..Thanks again! This is fascinating! Would it be possible for you to email the original spreadsheet? This is priceless, Karen! Thank-you so much for sharing it with all of us, through Ann’s wonderful blog. There is so much information here that I will share with others. What a great gift it will make! What a wonderful gift you have given to us!! In so many ways, this is a gold mine of information! I can’t imagine the gift of love this became for you. Thank you so much for sharing it will all of us.